2 Beds 2 Baths 1,510 Sq. 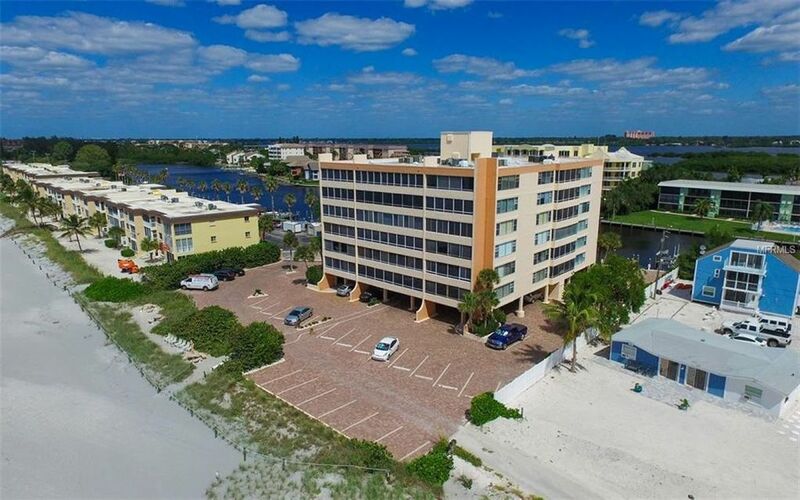 ft.
Come live on the beach and keep your boat right outside your window at beautiful Fishermans Haven located on the south end of Siesta Key's Turtle Beach. This spacious re-modeled 2BR/2BA condo with a room for an office and storage features crown moulding, an open kitchen with granite countertops and wide granite dining bar looking out to the family room. Split floor plan. The lanai stretches the length of the condo with wind impact glass sliding windows and 3 fans to keep you cool as you gaze out to the gorgeous views of the Intracoastal Waterway and the Bay. The lovely foyer entrance is lined with bookshelves and invites you in to his light and bright home. Master bedroom features a spacious walk-in closet and beautiful hand etched glass shower doors in the master bath. Private pool and so many outdoor activities await you - fishing, kayaking, boating, swimming! Boat slips with or without lifts are on site as well as kayaking slips and storage. A full service Marina is nearby. Incredible Bayou and Bay views from this 6th floor unit. Turtle's restaurant and Ophelia's are close by. South Siesta Key is a very tranquil area, but just minutes from the Stickney Point bridge and Siesta Key village with its restaurants, outdoor cafes and great boutique shopping. And then over the north bridge to the downtown Sarasota area with many dining choices, the theaters, Marina Jack dining and so much more! Come see this beautiful unit right on the beach! Directions: Midnight Pass Road south from the south bridge and turn right into the Turtle Beach Parking lot. Go all the way through the parking lot to the first gate at Fisherman's Cove will open automatically when you pull up close.